We are proud to represent this 5-unit apartment building. The building was constructed in 1990. Its unit mix consists of (3) two-bedroom, one-bathroom units and (2) one-bedroom, one-bathroom units. With a lot size of 7,458 square feet, the property has a total of 4,413 rentable square feet. The property has been well maintained by a long term owner. Property has central Hvac units which have all been replaced, secured parking, and upstair units have balconies. 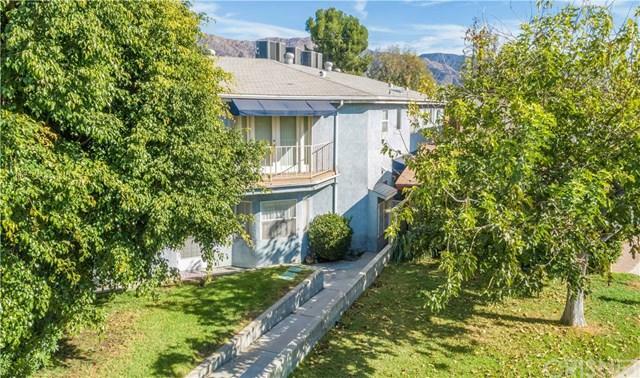 The property is located in Burbank, which is a highly desirable rental market and is known as the media capital of the world. It is home to Disney Studios, Warner Brothers, and NBC.The city has over 80 restaurants, 30 movie screens,and 200 stores; its residents enjoy top ranked schools, easy access to the 5 and 134 freeways, and close proximity to the Burbank Metro Link. Burbank is not subject to rent control. The property is fully occupied and is separately metered for gas and electricity.